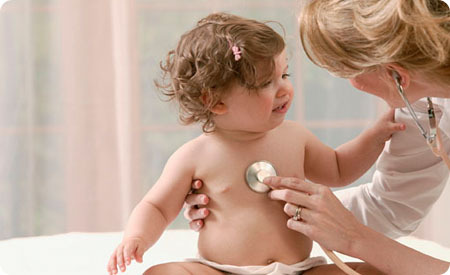 Though disproven, myths about vaccine safety are putting babies at high risk. Measles, pertussis (whooping cough) and Hib meningitis-all vaccine-preventable diseases- are making a comeback in the United States, according to the U.S. Centres for Disease Control and Prevention (CDC). At the time of writing, 2011 was on track to be another record year for measles, a potentially deadly illness; 10 infants died in California in 2010 from pertussis; and five Minnesota children contracted Hib meningitis in 2008, resulting in one death. The resurgence comes at a time when evidence supporting the safety of vaccines has never been greater. In a recent review of more than 1,000 studies for the Institute of Medicine, vaccines were determined to cause serious side effects only very rarely. No link between vaccines and autism was found, and the research that initially connected the two has been completely discredited. What’s more, a 2010 study published in Pediatrics found that children who received all the recommended vaccines in their first year of life did no worse on a battery of tests of intellectual functioning and behavior seven to 10 years later than kids with either delayed or incomplete vaccinations. 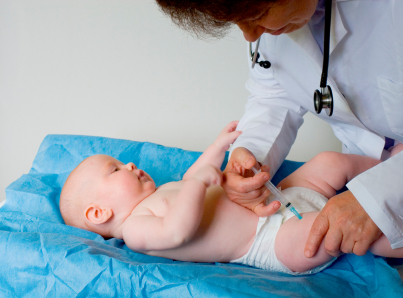 “In the last two years, the weight of evidence against harm from vaccines is staggering,” says pediatrician Carrie Byington, M.D., a member of the American Academy of Pediatrics Committee on Infectious diseases. Despite all the evidence to the contrary, concern about vaccine safety persists. A survey of parents of young children published in Pediatrics in 2011 found that 13 percent don’t follow the recommended vaccine schedule. Meanwhile, “exemption clusters”- communities with a higher percentage of unvaccinated children- exist across the country and are several times more likely to have whooping cough and measles outbreaks, research shows. While undervaccinated children tend to be poor and live in aan inner city, children who have received no vaccines at all tend to be white and have a household income greater than $75,000, according to a 2004 study in Pediatrics. Byington and other health officials hope that scientific data combined with recognition of the serious illnesses and death associated with recent outbreaks will convince reluctant parents to have their children immunized. “Vaccines have been so successful that many parents have never seen these diseases and do not realize how severe they are,” Byington says. “And it’s infants who pay the highest price.” Babies aren’t fully protected against pertussis until they’re 6 months old, while the first measles immunization isn’t given until 1 year. Some pediatricians are refusing to treat unvaccinated patients because they fear exposing children with compromised immune systems to diseases in waiting rooms. Hi there. Actually want to leave a swift remark and question exactly where you grabbed your particular website graphics I might be starting out own web page and absolutely appreciate your specific template.